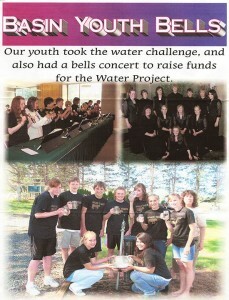 We wanted to say a special thanks to the Basin Youth Bells who raised money for a new well in Kenya back in July of 2009. Darla G. led this group of talented students as they held a benefit concert for The Water Project. We love it when groups take the initiative to help and use their own unique gifts and abilities to make a difference.